MJX Bugs 3 vs MJX Bugs 3 Pro – Is the Pro version worth the upgrade? MJX tends to create similar models within their lineups, not to confuse their customers but to differentiate different series of drones from one another. The same can be said about 3 of their newly released drones which pull strings to the original Bugs 3. Needless to say, I am referring to its successors which go by the names Bugs 3 Mini, Bugs 3 Pro and Bugs 3H. Today, we will be focusing on the middle one – MJX Bugs 3 Pro. More precisely we are going to compare it to the original version to see whether or not it’s worth upgrading from it. In addition to the design and key specifications, we will also dissect its features and make a simple summary to answer our question – whether or not you should purchase MJX Bugs 3 Pro if you already own the original. As you can see from the images above, these 2 quads don’t look like they belong in the same series of drones. Starting off with their main color, the original is all black while the Pro version sports a stylish white look. The decals and finishing touches have been altered too, for instance, Pro version doesn’t sport those bug-like eyes in the front. Instead, it opts for a sleeker finish with a red stripe on the top along with golden ones on its arms, resembling those of DJI Phantom 3 Pro thus notifying people that it’s not to be mistaken for a toy drone. Both of these models also come with thick and sturdy prop guards that will not only protect the propellers but the entire construction as well. Landing legs are an important part of the equation too, delivering optimal takeoff/landing stability as well as space for various action cameras you can mount on these 2 baddies. Battery bays are tightly holding the batteries in, ensuring they don’t fall out during flights. Last but not least, both of these drones are made out of high-density ABS plastic that’s shockproof, meaning it won’t break as easily as regular plastic. Even though the Pro version sports a gorgeous white design with more sophisticated finishing touches, the original design has a certain dose of old-school charm to it. That’s pretty much the reason why you see a draw in this category. For those of you who don’t know, original MJX Bugs 3 sports a solid 7.4V 25C battery holding 1800mAh. It can hold the drone in the air for approximately 15 minutes which isn’t half bad for the standards that were active at the time of its release. On the other hand, MJX Bugs 3 Pro sports a much heftier 2S 25C rated battery that holds whopping 2,800mAh. It’s a 1K jump from the original that brings this birdie anywhere from 20 to 22 minutes of flight time. That’s 5 to 7 minutes more than the original. Both of these drones feature proprietary batteries that hold nicely in place once placed inside their respective bays. It’s quite easy to get them in and out while remaining stationary even after a couple of crashes. Clearly, the winner is Pro thanks to its improved battery which can hold it up in the air for amazing 20 minutes. It can even go beyond that if there’s no camera equipped, clocking in at up to 22 minutes. The original could achieve only 15ish while carrying an action camera and close to 18 without one. So around 5 minutes of difference is all it takes for MJX Bugs 3 Pro to take the trophy here. 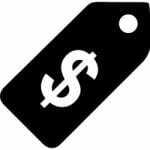 Let’s be realistic guys – MJX has gotten all of us spoiled by offering great value for money as far as specifications are concerned. By specifications, I am referring to both flight duration and operating range. At the moment, we are going to be focusing on the latter as it has received a significant boost when looking at the original. Yup – the original had access to only cca 300 meters which isn’t that much for an aerial photography drone nowadays. However, MJX Bugs 3 Pro has plenty more where that came from. More precisely, Bugs 3 Pro can achieve astonishing 600 to 800 meters without even breaking a sweat, showing off great advancements. For a good aerial photography drone, operating range is not that important and I’m sure many of you will agree with me on that one. Still, when it comes to the actual numbers, MJX Bugs 3 Pro shows an incredible improvement and thus is the clear winner. MJX Bugs 3 Pro comes with the all new and redesigned MJX transmitter we will be seeing a lot in the next couple of months. Yes, the same transmitter will come with pretty much all of their new models perhaps with some adjustments coming from model to model. The shape is now rounded off the edges, giving a much sleeker finish and heavily resembling older transmitters from DJI Phantom series of drones. Another big difference is the button placement as well as a taskbar-shaped display located on the front bottom of the transmitter. On the other hand, the original MJX Bugs 3 sports the good old MJX 2.4Ghz transmitter featuring just a single antenna. The display is rectangular and shoulder buttons are placed on the top side and not in the front which makes them slightly more accessible without directly looking at them. Even though the new transmitter looks brilliant and has that sleek taskbar display, the old one features more ergonomic design and better shoulder button placement which are easily accessible with your index fingers. However, that’s still not enough for a draw considering the fact that the new transmitter is much more durable and made out of higher quality plastic than the old one. Also, the backside is wavy which makes it fit nicely into my hands. Overall, the difference may be slight but they still wager the odds in MJX Bugs 3 Pro’s favor. If you are looking for a great entry level aerial photography drone, both of these models will seem like great deals. As far as the actual AP solutions are concerned, you are looking at what seems to be a very similar camera bracket. However, the main difference is not in the actual bracket but in the drones’ ability to lift certain cameras. Moreover, both of these models are able to carry the traditional action cameras such as GoPros and Xiaomi Xiaoyi cameras as well as brand new MJX-branded ones called C400, C5000, and C6000. As far as aerial photography capability is concerned, the Pro is not only more stable but can carry heavier batteries than what is the case with original Bugs 3. However, that’s not nearly as important as the fact that Pro sports Altitude Hold mode, allowing for much better (and professional looking) aerial photography. In other words, Altitude Hold allows you to pay more attention to capturing that perfect shot than actually making your drone hover which will result in awesome footage. As we all know, the original MJX Bugs 3 was not exactly the best drone as far as features were concerned. On the bright side, the Pro version fixes this in a brilliant manner by adding not 1 or 2 but whopping 3 significant features that will drastically alter the overall flying experience. So, if you ask me, features are single-handedly the reason why you should buy MJX Bugs 3 Pro right now, even if you already own the original! Starting off with the first one – a GPS module has been added to MJX Bugs 3 Pro to give it extra stability and provide the data needed for additional safety and functionality features. Altitude Hold adds a solid amount of functionality to Bugs 3 Pro. Thanks to this feature, this drone can perform as a much better aerial photography solution than the original. With a total of 3 types of return to home (1 manual and 2 automatic), the Pro version stands out as one of the most reliable entry-level drones out there. Safety first from MJX, as always. As if there were any doubts as far as features are concerned – the Pro version, thanks to GPS and supporting features, sweeps the floor with our dear original Bugs 3. However, the original was never a feature-packed drone so it’s not even that surprising to see massive upgrades embedded into the Pro version. As far as the price goes, MJX Bugs 3 had some serious price drops and is now priced at close to $100. Make that cca $120 if you want an extra battery. Such a price is a pretty solid reflection of its value considering it doesn’t have a camera nor smart features. There’s no doubt about it! Even though the cost (with an additional battery on both devices) is roughly $130 apart, it’s clear as day that MJX Bugs 3 Pro offers better value for money. Thanks to RTH features it adds a dose of reliability to the package and with GPS and altitude hold it acts as a much better aerial photography platform. Is MJX Bugs 3 Pro a worthy upgrade of the original Bugs 3 and which one would I go for? 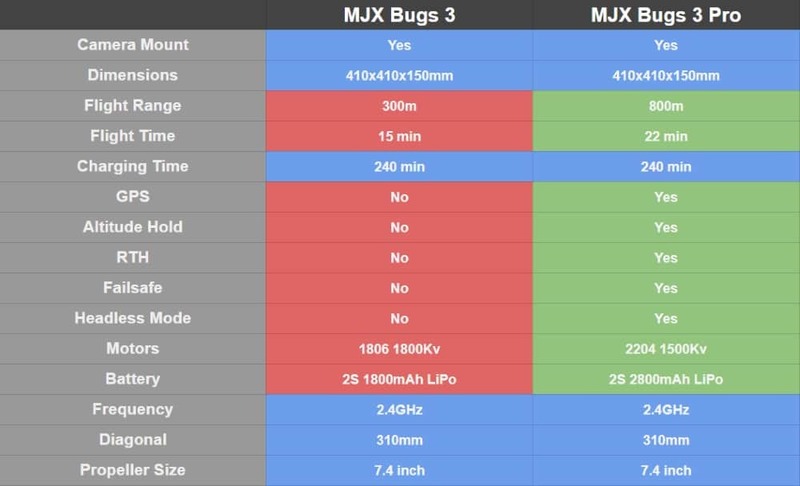 And there you have it guys – a comprehensive comparison of MJX Bugs 3 vs MJX Bugs 3 Pro. As you could see for yourself, pretty much everything has been changed with the Pro version, especially the specifications which have experienced a massive boost. 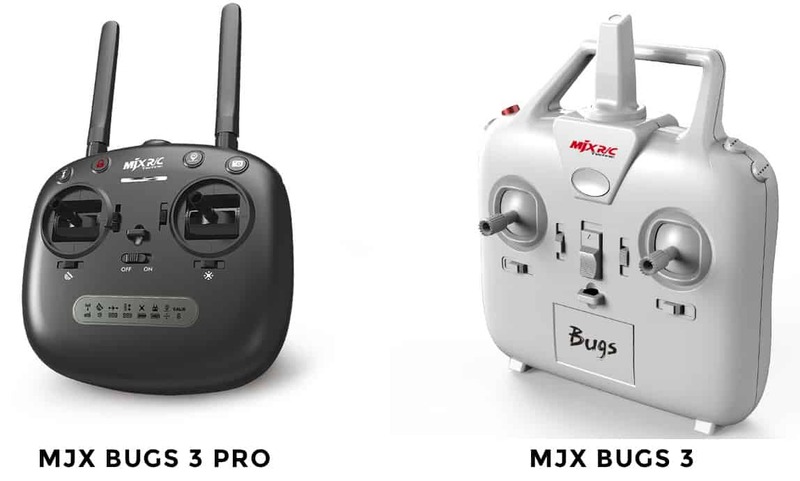 With roughly 22 minutes of flight time and up to 800 meters of operating range, MJX Bugs 3 Pro is a definite winner as far as specs are concerned. Still, the biggest change is the addition of a GPS module which opens the door for extra features such as altitude hold and return to home features. The latter make Bugs 3 Pro a much safer drone than its predecessor and that alone, at least in my honest opinion, makes it worth the upgrade even if you currently own the original. So, is it worth it? Heck yes, it is!!! But which one would I go for? I’m sure the majority of you reading this already know my answer – MJX Bugs 3 Pro! I love reliability with my drones and the original Bugs 3 does not offer that. Luckily, the Pro version has 3 types of return to home for maximum reliability and in-flight safety. Also, altitude hold is the best thing ever for anyone wanting to take good aerial footage so I highly appreciate it. The price tag is a bit higher than the original, but once again, it is definitely worth it! These 4 Drones Can Recognize Your Face. What are benefits of that ? Wow ... I couldn't disagree with this assessment more. I don't think these drones have anything in common other than being labeled as Bugs 3. One is completely manual and one is GPS with altitude hold. 2 very different purposes. I have an Autel X-Star and Bugs 3. One is for cinematography and one is for fun. The reason I chose the Bugs 3 to be my "fun" drone is: Its fast, agile, lights up nicely for night flights (my favorite time to fly), and handles rock solid. You don't get quick and agile with GPS drones. If I'm spending $250+ for a camera drone, it should have a gimble or at least rubber dampeners. I'm sure the Pro model is a great drone and I have nothing bad to say about it (since this is the first I've read of it), but you are really only comparing specifications and features. Not actual flight impressions and execution of those features ... of which I can atest to the greatness of the original Bugs 3. I agree with you pretty much everything you said Nate. These drones don't have much in common but we decided to compare them because of several inquiries we got from our visitors. 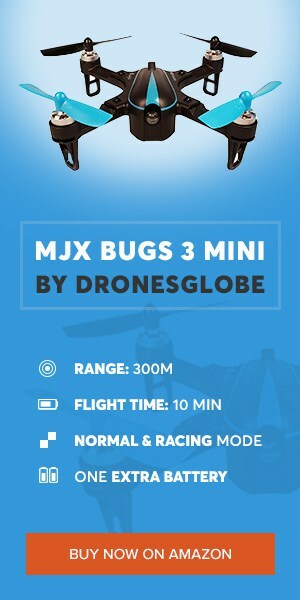 There are several new drones coming out from MJX soon : Bugs 3 Pro, Bugs 3H, Bugs 3 Mini, Bugs 5W and Bugs 10H. It can be little confusing for some people to choose between that many "similar" drones. That's why we decided to compare all of them to a well known Bugs 3. Soon we'll publish Bugs 3 vs Bugs 3 Mini, stay tuned. Btw., DronesGlobe will be an official reseller for Bugs 3 Mini drones, so it will be interesting to see what you guys think about it. You're kidding, are you? The price text of the pro is not , as you worte, a bit higher , it's nearly double the price of the original. I would strongly advise for that price to drop before buying. Well, $100 in a niche where products can cost up to $4000 might be considered as "bit higher" for someone 🙂 Just kidding, Vito probably could find some better way to say it. If you ask me, I would not advise people to wait until price drops because it won't drop anytime soon. This is a brand new drone (it's still not available on the market) and compared to other $250 drones... I can't really find any significantly better drone for that price, can you?